What do we mean by rewriting the constitution? When we look in a dictionary, the word constitution is described as the composition, configuration or form of something. In the context of human beings, we talk about having a strong or a weak constitution. We are effectively referring to the aggregate of a person’s physical and psychological characteristics. 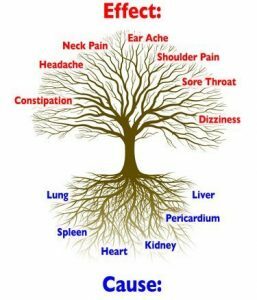 When discussing illness and disease Chinese Medicine will talk about the root and the branch (the ben and biao in Chinese). The latter term refers to the ‘outward sign’ or ‘manifestation’. This could be a symptom such as dizziness or headaches. In assessing a patient we would also try to find the root (which is the original cause of the problem). This could for example be a weakness of the Kidneys, which would show up in a number of presenting signs such as the sound of the person’s voice and their facial colour. It is left to the skill of the acupuncturist to deduce the type of disharmony from the signs. Often just treating the root is sufficient to clear the branches. As the expression goes ‘to treat a disease find the root’. In our example treating the kidneys may clear both the dizziness and headaches. Or we may treat both root and branch together. Treating the branch without treating the root is however rarely satisfactory. Gardeners will recognise that removing the stem and leaves of a weed, but not the roots often results in the weed reestablishing itself. The way Chinese Medicine approaches treating imbalance, developed over many centuries, is an elegant way to treat disease. It consistently leads to longer lasting results compared to treating just symptoms. And often treating the root will clear up several symptoms at the same time. Interested? Give us a call. 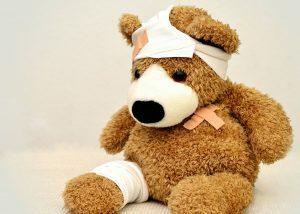 In an age of technology where medical marvels emerge at a seemingly prolific rate, it is sometimes good to remember that our bodies tell us what they need when we are unwell. If only we knew how to listen . From hair to skin, taste to smell the body is talking to us all the time in its very own language. 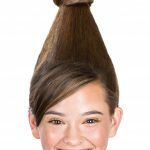 Have you ever noticed how your hair lacks condition when you are feeling below par? In Chinese medicine there is a saying that the state of the Kidneys [system] is reflected in the hair on the head. Your locks may feel lank, dry or just lifeless. Ask yourself – does this match how I feel in general? What will I do differently? Let us consider too our skin. If we view this as the bag that wraps our body, it becomes a no-brainer that the wrapping somehow reflects the interior. Is your skin dry, mottled, podgy, scarred? Dryness frequently reflects insufficient fluid intake but may also occur as a result of stress interrupting the normal supply of nutrients to the skin layers. What life changes do we need to make to improve the situation? I find it curious that so many skin problems are treated topically without recourse to what is going on inside. If you’ve ever sat in a café and ‘watched the world go by’, you’d be aware that people have very different ways of walking. Next time you are in this situation take a look at how someone strolls and ask yourself the question ‘why are they walking like this’. Try mimicking their walk and become aware of which muscles you have to hold tight to act this out. If you are brave you could ask someone to do the same for you! Common expressions such as ‘the face we present to the world’ and ‘face up to the reality’ make us aware of the significance we place on our countenance. You might recall an occasion when your best friend was feeling peaky. 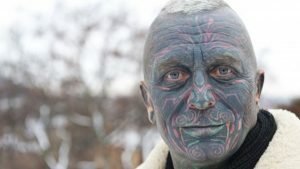 Something different about his/her face that you can’t quite put your finger on. Five element acupuncture uses the five palette colours of the face (red, yellow, green, white and blue/black) as one of the four key signs to figure out what is going on internally. For example when the red hue drains out of the face we see ashen grey. Think too of the sallow shade when someone has a stomach upset. There are numerous other ‘message channels’ you can tune into with practice including the pulse, tongue, finger nails, eyes and so on. It is like learning to appreciate a fine wine. Using the faculties of smell, touch, hearing and asking we can remove so much mystery from the human complex and tap into our hidden potential. Go on give it a try. Learn a new language. If only we knew how to listen. When an illness suddenly and unexpectedly rears its ugly head we often seek to make sense of it. I was given to reflect on this very topic myself, as the result of a stay in hospital. 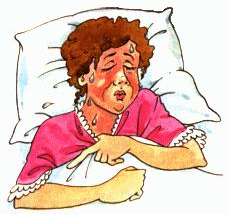 When we succumb to a common cold we are sure to have had previous experience of this. We know how it is likely to progress and how best to deal with it. We probably have the remedies and medicines we need in our kitchen cabinet. When we are faced with a new malady it can often be disconcerting. We feel lost. How long will it last? Is it serious? Will it get worse or better? How will I know? With a clear diagnosis ‘Dr. Google’ will often give us the answers we seek but somehow knowledge isn’t the same as experience. The map isn’t the same as the territory. We rely on experts to fix us and to be our guides – our General Practitioner, Osteopath, Acupuncturist and so on. To make sense of illness. So what do you do if the experts don’t seem to have a clue? It helps to be able to join up the dots. I wrote about this in a previous blog (Connecting With Your Inner Sherlock) where I discussed the merits of looking at the bigger picture. This of course takes time and dedication, so is often unsuited to public health systems. It may also be helpful to discuss your symptoms with a good friend (who is not a health professional). It often takes an impartial viewer to point out something obvious that sits in our blind spot. When astronauts blast off from the planet Mars, they leave behind Mark Watney (Matt Damon), presumed dead after a fierce storm. With only a meager amount of supplies, the stranded visitor must utilize his wits and spirit to find a way to survive on the hostile planet. In my opinion his quest for survival is a really inspiring way to raise your fighting spirit during a bout of illness. Try it and see what I mean. Let me know how you get on. Many of us are aware that acupuncturists use needles, but what about moxa (mugwort)? 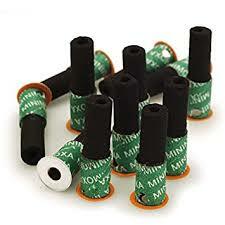 What is moxibustion used for. I wrote about the family of moxa devices in a previous blog. Moxa is a spongy herb used to facilitate healing. It is an integral part of traditional Chinese medicine. Moxibustion refers to the lighting of small pieces of moxa herb to release heat in a carefully controlled manner on or around the skin. Moxibustion is not for everyone. It may be contraindicated in those with high blood pressure or symptoms of overheating. 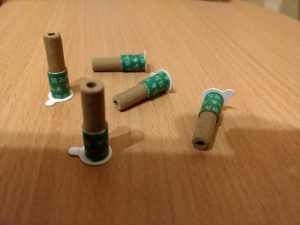 This aside, moxibustion is an extremely helpful technique to benefit poor circulation and low energy in particular. It has gained a particular reputation for turning breech babies, possibly due to its effect in increasing pelvic circulation. Browse the facts here. It can also be used to assist with fluid movement – for example with arthritis and chest congestion. But this is merely the tip of the iceberg for this wonderful herb. The best way to illustrate what moxibustion may be used for in practice is by example. Patient Mary is seeking treatment for fertility issues. She passes all the standard medical tests and is given a diagnosis of ‘unexplained infertility’. On examination it appears that her lower abdomen is much cooler than the rest of her trunk. This suggests that there may be reduced circulation to her ovaries and uterus. She also has cold hands and feet and feels chilly. I treat her with needles and send her home with a supply of moxa to warm a point on the inside of her ankle daily. It should be noted that the moxa device used here applies heat without touching the skin. On each visit her lower abdomen is warmer until after three weeks it is normal. She also reports feeling warmer generally. She is hopeful of becoming pregnant soon. Susan was a farmer’s wife suffering from plantar fasculitis, a painful condition affecting the underside of the foot. After three sessions of acupuncture she was only 10% better, so I applied some moxa (the size of a tiny piece of thread) to the underside of her foot and lit it. The aim was to produce a microtrauma the size of a pin head. Within a minute she was experiencing tingling session running up her calves. Within a few days 90% of the symptoms had gone and she went on to make a full recovery. Paul consulted me with acute sciatica. As part of his treatment I used a moxa stick to warm the pathway of the sciatica down his leg. The finished effect was a visible red stripe. He gained much relief from this. These are just three examples of what moxibustion can be used for. Many acupuncturists will use this alongside needle therapy. The sensation from this therapy is a pleasant heating that penetrates into the skin. Worried About Picking Up A Phone? People are sometimes worried about picking up the phone and calling a traditional acupuncturist. Common perceptions range from ‘it must be painful’ to ‘will he/she be professional’ or simply a fear of the unknown. So what is the reality? What happens when you book a session. What do people say? Also take a look at this video. Whilst many practitioners generally don’t work in an NHS setting, if you choose a British Acupuncture Council registered acupuncturist (in the UK) you will get someone who has trained for a minimum of three years to degree level (or equivalent) in acupuncture. 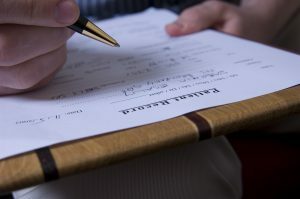 They will be fully insured and bound by the highest professional standards. The British Acupuncture Council (BAcC) has a membership of around 3,000 professionally qualified acupuncturists. It is the UK’s largest professional/ self-regulatory body for the practice of traditional acupuncture and was one of the first organisations to become a PSA Accredited Register. The Accredited Register scheme is designed to recognise that an accredited organisation maintains high standards of training, safe practice and professional conduct where the operational sector is not covered by statutory regulation. The first session with an acupuncturist will generally last longer to include taking a full case history. This is more than a nicety – it is a solid foundation on which to create a treatment plan suited to your individual needs. In general you are advised to wear loose, comfortable clothing to an acupuncture session. You may be surprised to learn too that acupuncturists do more than just insert needles into you. We are caring, sympathetic and willing to listen. Treatments may also include moxibustion (warming therapy), guasha (friction massage), cupping, dietary advice according to traditional Chinese theory, auricular therapy and more. Chinese exercise forms may be recommended too. So rest assured when you call an acupuncturist you are not entering a portal to an alien world! We are professionally trained human beings backed by one of the oldest established healthcare systems in the world and regulated by a leading self-regulatory organisation. 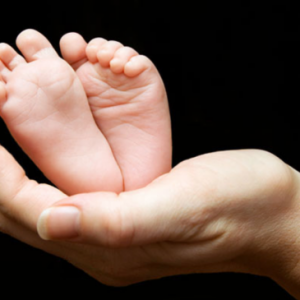 You may not realise it, but fertility acupuncture is one of the most exciting developments within the field of acupuncture at the moment. Here’s why. Over the years I have worked with many couples to help them achieve their dreams. In my experience the key is to really understand the complex needs of each individual. So how do I do this? Through very careful observation, enquiry about your current state of health and looking through your medical test results and diagnosis, we can build up a detailed picture of your reproductive health. As part of this the majority of my patients will chart their daily temperature – the so-called basal body temperature. The overall aim is to develop a strategy that will improve your chances through a greater understanding of how your body is working. To give some specific examples of what I mean, are you able to regulate your temperature well? What do you think is the reason for your current problems? Do you suffer from pre-menstrual symptoms? Does your digestion serve you well? Are you sleeping sufficiently? And one other point. I rarely talk about infertility. A more appropriate expression would be subfertility. So where does Acupuncture fit into all this? It is one of the oldest healthcare systems still in use around the world. Acupuncture has been used for centuries to improve health by balancing and regulating the key organ systems of the body. It is based on principles that go back over two thousand years. The following clip illustrates this in more detail. So let me share a typical example. A couple have been trying to get pregnant for 2 ½ years. A simple hands-on check shows that the female partner has a very cold lower abdomen. I inserted two needles into the patient’s hand and two into her ankles. Within minutes her abdomen has warmed up dramatically, something which her partner was able to feel with his own hands. ‘You are a bloody magician’ he said. Three months later the couple were able to announce a pregnancy. Co-incidence? Here’s to making a difference! Explaining the unexplained. Martin Dean is a British Acupuncture Council registered acupuncturist who practices in Nottingham, UK. According to Ayurveda – traditional Indian medicine – onions and garlic can be ‘stimulating to the desires’. For this reason it is usually avoided by those who practice meditation and other spiritual paths. In Chinese herbal medicine, garlic is often considered too common and crude to be included in classic herbal recipes. 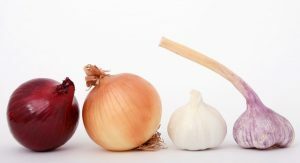 So why might we consider onions and garlic acupuncture medicine? Are Onions and Garlic Acupuncture Medicine? So how should we regard onions and garlic? Does they have a good side? Could it be helpful for improving our health? According to traditional Chinese acupuncture dietary theory onion and garlic, both of which hail from the Alium family, are pungent in nature and warming. This can help to move stagnant Qi (energy), activate the lungs and act as a digestive.They are considered excellent for improving circulation, and for resolving phlegm and dampness (fluid retention) in the respiratory system. This makes these foods a great asset during the autumn cold and flu season in the UK, set against a backdrop of increasing damp and cold. According to author Henry C. Lu ‘onion is used in Chinese folk medicine as a diuretic and an expectorant’. Other members of the Alium family including spring onions, chives and leeks offer up similar properties. At this time of year therefore a good addition to one’s diet would be a hearty vegetable soup created from a stock of onions, garlic and leeks. Enjoy good health this autumn. In a new video review Martin Dean looks at Dong Bang’s ‘mild’ stick on smokeless moxa, the modern way to use this ancient technique. What is it good for? How easy is it to use? Find out here. You are anticipating your first visit to The Acupuncture Fertility Centre. What should you expect for your Initial Fertility Consultation? First of all the invitation to attend will be open to both of you – as appropriate. Secondly you will be asked to bring along a completed consultation form. This will be emailed to you in advance as part of your welcome pack. This process will help speed things along and allow me to tailor the treatment to your circumstances. The assessment is also likely to include a check of your pulse and tongue and an evaluation of your abdominal temperature. The aim of the session will be to put together a strategy to your desired outcome. And ladies (depending on circumstances) you will be asked to start taking your daily temperature (the so-called basal body temperature) so that we can evaluate how effectively your menstrual cycle is working. This was discussed in a previous blog. The diagnosis will be individualised according to the principle of traditional Chinese medicine, developed over more than 2,500 years. Treatment may include acupuncture needles, moxibustion (warming therapy to improve circulation), massage, cupping, dietary advice and exercise. These are clearly not the work of just one session – after all, Rome wasn’t built in a day – but the aim is to put the explained into the unexplained so that you can feel confident that you are in good hands..
Here’s to making a difference! Thank you for all your help throughout our journey in bringing this little man into the world! R.
There are no words that can really say how eternally grateful we are to you. You helped to change our lives and give us this special gift. A.H.
You never know what to wear. One moment you are frozen and the next you are bright red and rolling with sweat. You put on layer after layer of clothes so that you look like Michelin man! Your hands and feet are always blue and freezing cold. So what does this mean in practice? The distinction to an acupuncturist is important as each of the four possibilities requires a different treatment strategy. 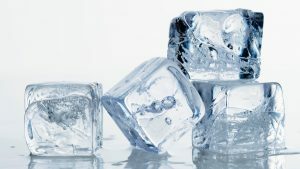 Distinguishing whether we are hot or cold might seem obvious – do we prefer a warm or a cold room, do we look pale or red and flushed, do we like our drinks hot or cold? Does heat or ice help? Do we wear more or less clothes than other people around us? But what about full or empty? Full conditions are generally stronger and give rise to fuller symptoms, with a stronger presentation. Empty conditions on the other hand arise from deficiency and may become worse when we are tired. To give a couple of examples, mild menopausal night sweats are usually characterised as empty heat and often show their hand in the afternoon and at night when we are more tired. They come and go as flushes, as does the redness in the face. Full heat would be exemplified by tonsillitis. Symptoms of this condition include a sore throat aggravated by swallowing, along with a continuous fever. The symptoms will often feel more intense than with the first example, and less inclined to variation. We may feel more restless. A similar set of principles applies to cold. It is curious to note that many of my fertility patients that exhibit low progesterone levels also present with empty cold. Commonly their abdomen will be cold as will be their hands and feet. The skill of the acupuncturist lies in deciphering the signs presented by the body which involves listening, touching, asking, looking and smelling. This will include a reading of both the tongue and pulse. Treatment such as clearing and nourishing will be applied as appropriate until the signs diminish. Lifestyle changes can help too. Foods can be added/subtracted to your diet to cool you (avoid ginger and chili), warm you (soups and stews, ginger, black pepper) and nourish you (miso soup, beetroot soup). You may also exhibit a combination of these symptoms (eg freezing during the day and hot in bed), which would require two parallel treatment principles. And yes men do get night sweats too! ‘Honour thy error as a hidden intention’. This was the phrase presented by the Oblique Strategies pack as I tried to solve a complex problem which had been confounding me. It worked! What strategies do you employ to set yourself free from a creative tight corner? During my youth I remember being shown this set of cards which were designed for use by muscians and artists, created by Brian Eno and Peter Schmidt in 1975. We would use these whenever exam revision was proving hard, and invariably it would unlock something useful. 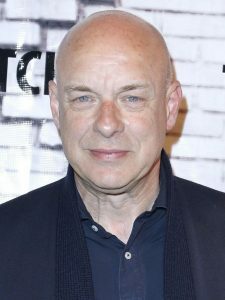 Brian Eno is an English musician and record producer who’s best known for being a founding member of the glam rock band Roxy Music and his innovations in ambient music. His work as a record producer is legendary as he has worked with such musicians as U2, Devo, Talking Heads and Ultravox. His skill as a producer lies in unlocking the hidden talents in everyone. For example in one interview he told a story about how the drummer in a band he was producing came forward with a new composition featuring lead guitar. The normal procedure would be to give this part to the lead guitarist, but Eno suggested the drummer recorded this part himself. The resulting track was a surefire hit. I rediscovered the concept recently, now available as a free website implementation and smartphone app (search for Oblique Strategies). Intriguingly the original cards still change hands for several hundred pounds on ebay. A random click on the website came up with ‘from nothing to more than nothing’. Hmmm interesting. Go on, give it a try and see what comes up for you. 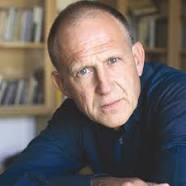 Englishman Tim Parks is a best-selling novelist, critic, essayist, and Professor of Literature who has lived and worked in Italy for nearly forty years. He has previously been shortlisted for The Booker Prize. Some time ago I read and thoroughly enjoyed his book Italian Ways, on and off the rails from Milan to Palermo (in fact I booked an Italian rail holiday off the back of this enticing volume). More recently I came across another of his books which drew my attention – Teach Us How To Sit Still (Vantage books London). In his forties the symptoms – constant abdominal pain and urinary difficulty- that were to dog his life began to take hold. In his remarkable book ‘Teach Us To Sit Still’ he describes in everyday detail how the body that had carried him thus far turned out to be less familiar than he thought possible. What he would later come to know as ‘unexplained pelvic pain’ increasingly dominated his daily routine. His was a story familiar to me – ‘so-called’ experts vying to offer treatments based on uncertain knowledge. So what do you do when you have exhausted all the possibilities? Search for the impossible of course! Whilst Googling his symptoms he came across a book entitled ‘A Headache In The Pelvis’ by Drs Wise and Anderson. In this well-researched book he was introduced to the idea that his symptoms – which made him increasingly unable to sit comfortably – were related to chronic tension in the pelvic floor muscles. What was needed, they asserted, was to make addressing the symptoms the top agenda item of the day, not the last. ‘Abruptly, a tight girdle of muscle between navel and pubis slid down, as if settling into its proper place. At once I felt more comfortable. That was odd. I was astonished. You go to three or four urologists and pay hundreds of pounds only to get the first piece of useful advice, from a self-help book’. Honestly and thoughtfully told, Parks’ story is one that will resonate with many trying to find answers to undiagnosed illness. The unresolved problem, the role of the expert and searching within to discover uncomfortable truths. In the end he not only ‘conquers’ the pain but really does find himself in the process (cliched but true).